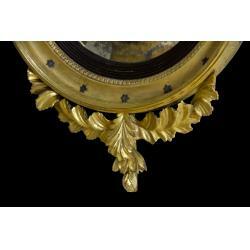 This is a moderately sized girandole mirror with notable classical embellishments. 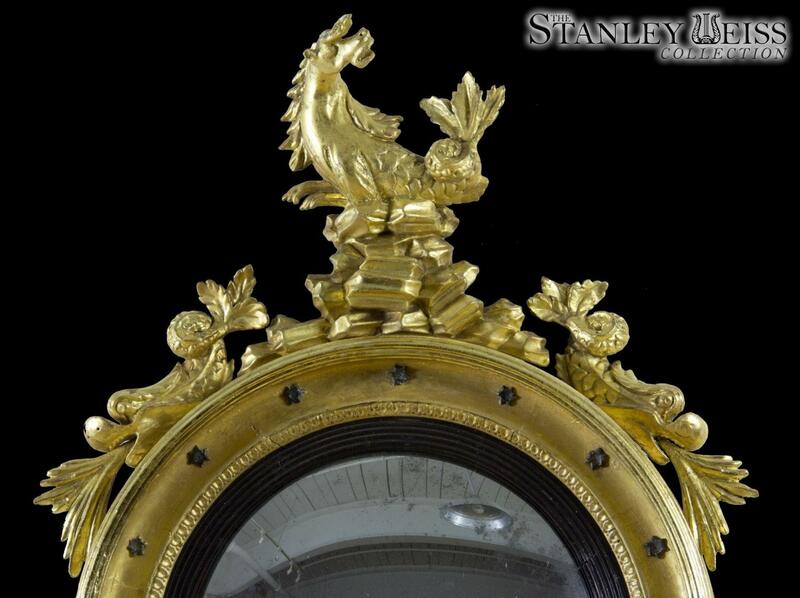 Whereas most girandoles usually have an eagle at the top, this one has the classical seahorse, above the traditional rookery, and flanked by spouting dolphins. 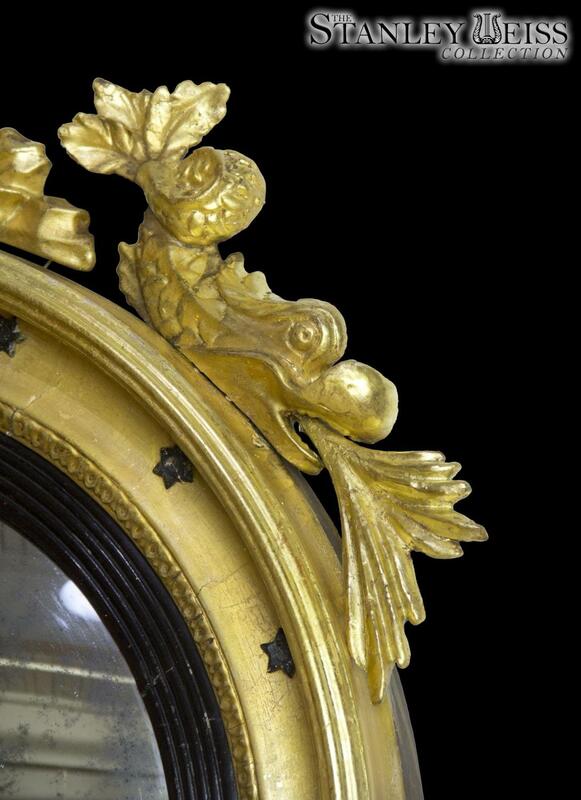 This is all high level classical design and the dolphin motif is seen on much classical furniture in our collection (see classical card table and classical worktable). 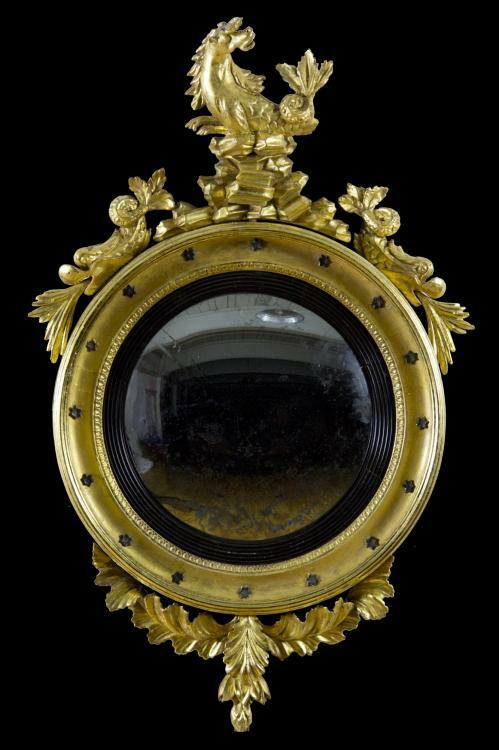 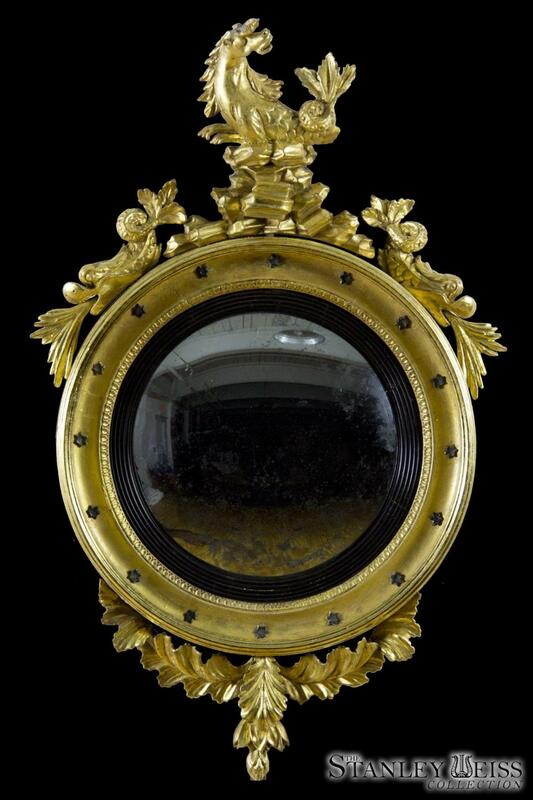 Also of interest is that, whereas girandole mirrors are often surrounded by gilt balls, this mirror employs ebonized stars. 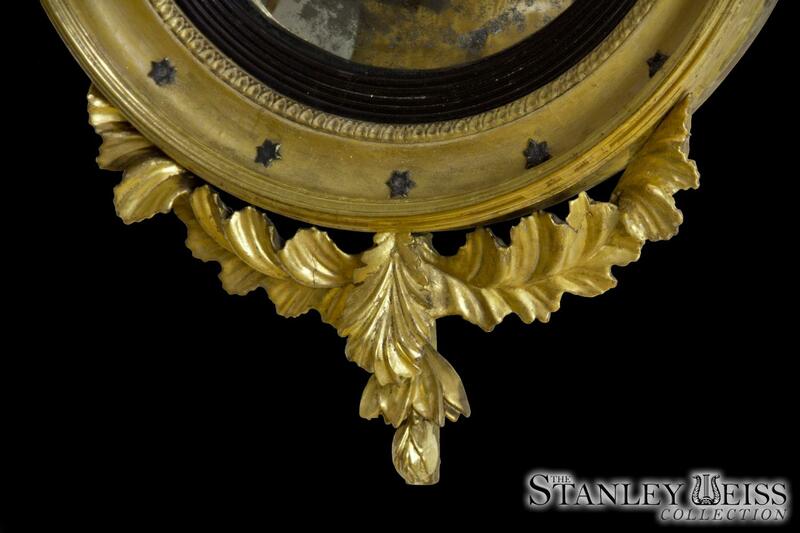 The entire mirror is supported by traditional acanthus leafage. 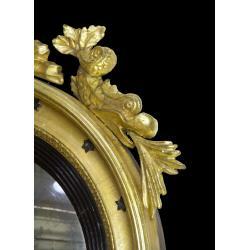 This is a wonderful, unusual striking example of a girandole form, as it has evolved through the last quarter of the century, with greater emphasis on classical motifs. 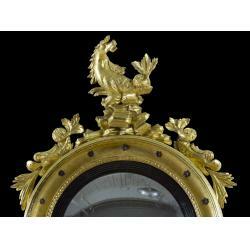 The gilt is in superb condition; the mirror is original, and there are no repairs or alterations.